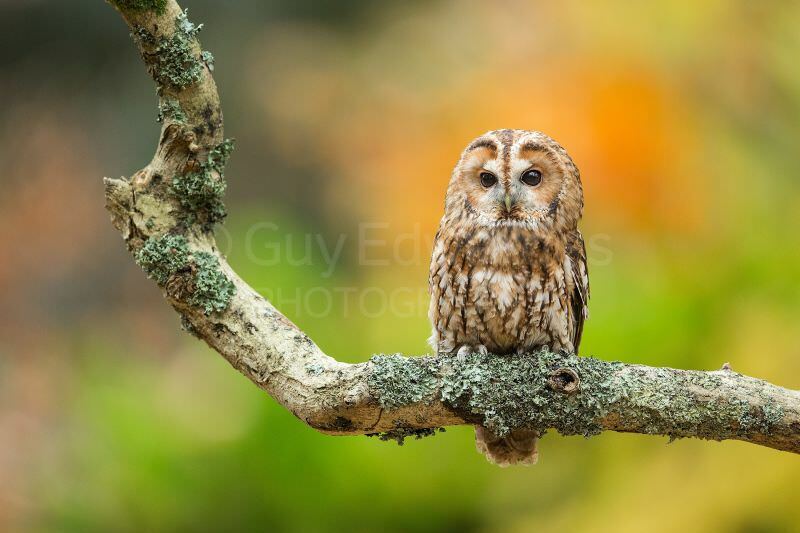 During this one-day workshop we will be photographing a variety of birds of prey in natural surroundings at The Hawk Conservancy near Andover in Hampshire. We will have the birds to ourselves and we won't be working in the public areas. One of the main aims will be for me to teach techniques for better flight photography. 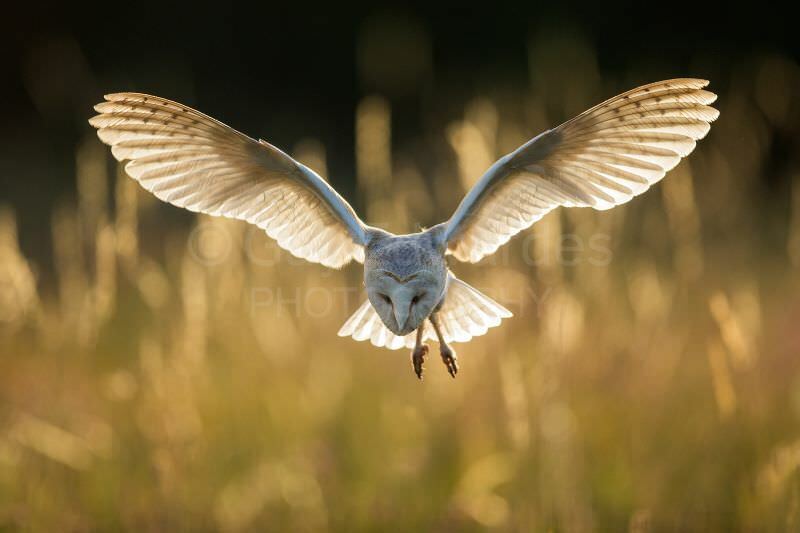 A key element of these workshops is that some of the birds will fly the same flight path repeatedly, enabling you to practice and fine tune your focussing and tracking abilities. 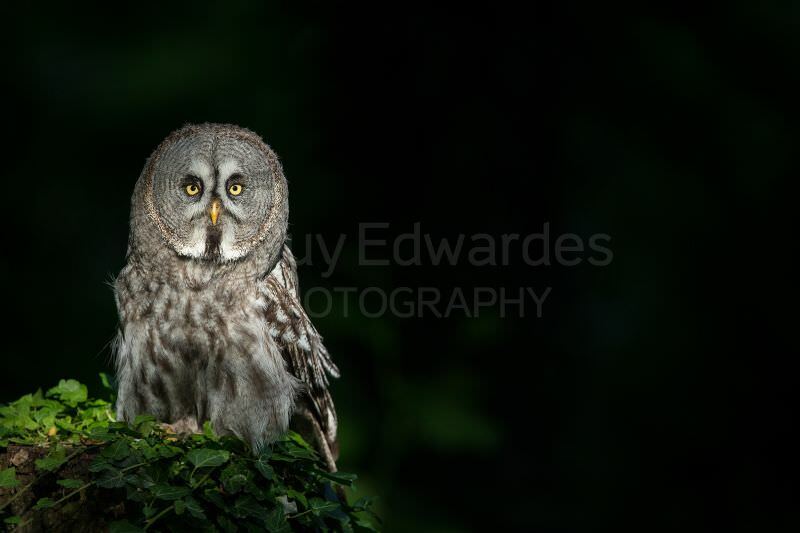 We will be working with flying Great Grey Owl, Barn Owl, Bald Eagle, Vultures and many others. I can’t be too specific about the exact species we’ll work with as much depends upon their condition on the day. Some of these birds fly freely outdoors over a large area of grassland and won't be wearing jesses. There will also be opportunities to photograph many other species perched, all in natural woodland and grassland surroundings. 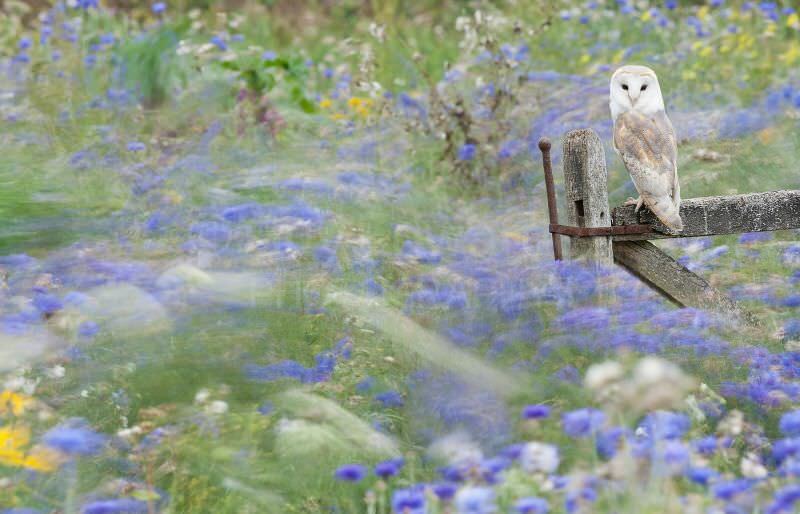 I have tried to time this workshop to coincide with the flowering of the Hawk Conservancy’s large wildflower meadow, which should provide a spectacular backdrop! In order for us to shoot in the best light of the day the workshop will begin at 1pm. I will start with a brief presentation that will include some technical tips, such as correct camera set-up. If required I will check to make sure each participant’s camera is set up correctly for action photography. We will then begin photographing the birds when you will be given a more thorough explanation of the techniques used to photograph birds in flight. We will spend as much time as possible photographing the birds in the field. I will review your images as we go and offer advice on how to improve your success rate. 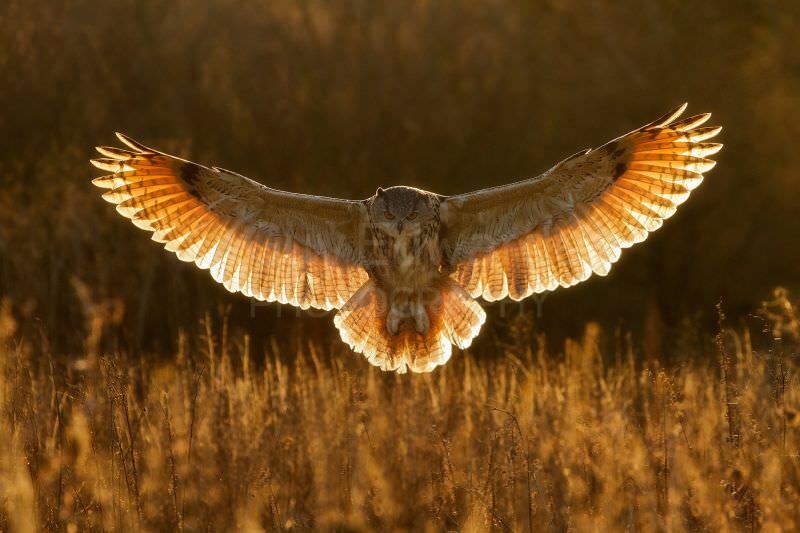 If we have sunny conditions the light will be improving (as will your skill at flight photography) through the day. We finish at sunset (8.30pm). 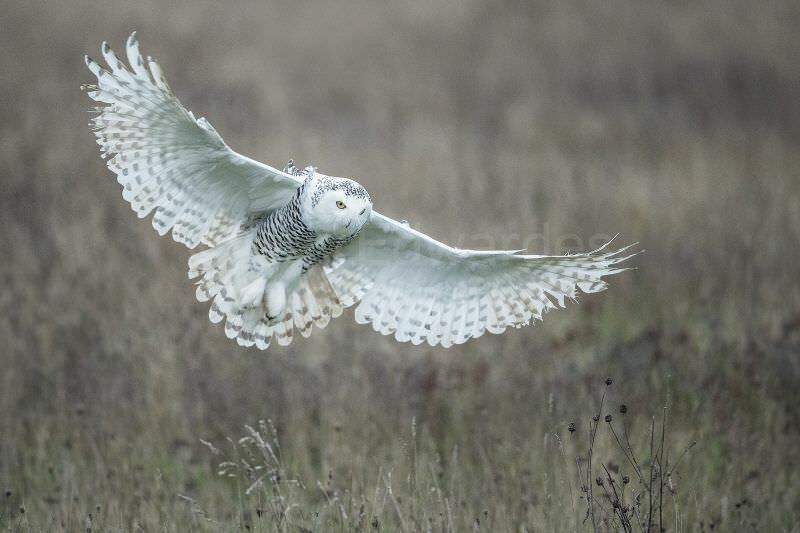 You will spend at least six hours photographing the birds. The minimum requirement for this workshop will be a 300mm lens. A combination of a 70-200mm zoom and a 300mm (or longer) telephoto would be ideal. 500mm and 600mm lenses can also be used. The ideal lens would be somewhere between 300-500mm with a fast aperture. I will explain techniques that will help to improve your success rate when using a less than ideal camera system (the more expensive pro level cameras offer significantly better autofocus and focus tracking, especially in combination with fast aperture telephoto lenses). Those using large telephoto lenses should bring a sturdy tripod. If you don't own one you might like to consider hiring a fast telephoto lens for the day. In the event of poor weather we will still fly the birds as much as possible but more time will be spent shooting portraits of the birds outdoors. Please bring waterproof clothing, spare batteries and plenty of memory cards!